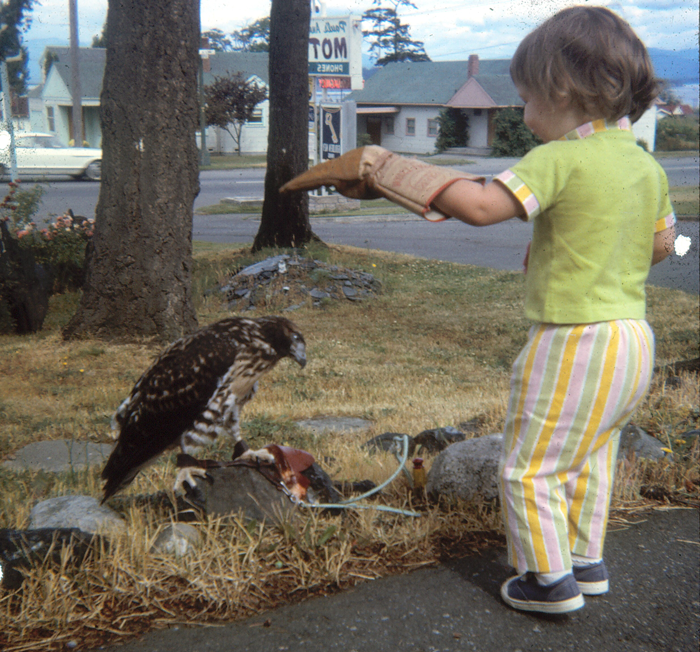 Me as a toddler with a hawk. This website was started by me, Kent's daughter, Krissy, in 2005. I maintain the site and share the family archives with you all. I knew people would be looking for information on the book and film online and I only wish my dad and grandpa could be around to see all the wonderful emails and connections that this site has created. I've received many emails from people who were strongly affected by my father's book. I am always happy to hear from you and I appreciate you passing on the story to your family and friends. You can read some of the letters in the Guest Book section. I grew up with Lady. I witnessed much of the story and have seen the film many times and yet I still find myself overwhelmed with the tender images and amazing story of that big bird and my grandfather. Unlike us, this story never gets old.